All of our luggage tags feature UV spot gloss letters (front) on top of a matte background (front/back), giving the tag a sleek and sophisticated appearance. Made from a durable PVC composite, WingMate luggage tags measure 4x2.7 inches and are 25% thicker than standard plastic luggage tags. Each tag comes with a 6" clear plastic loop to attach to a bag. Our CREW series luggage tags are the first ever NFC luggage tag specifically designed for flight crews and other travel industry professionals. WingMate Tags CREW is also a great option for other professions that associate with “Crew”, such as media and entertainment personnel. The Traveler series features a simple but modern and fun design for any traveler or jet setter. With many colors to choose from, WingMate Tags Traveler allows anyone to express themselves while on the go. Just like the magnificent cities that inspired us, the Skyline series will truly take your breath away with larger than life skyscrapers but at the size of the palm of your hand. Perfect for crewmembers and travelers alike, take your home or favorite city with you wherever you go! Our WingMate stickers are a small and convenient unit with all of the functionality of the full-size luggage tag. Measuring only 1x1.25 inches, our stickers are perfect for just about anything that you would want the protection of WingMate Tags. Stickers also feature a layer of high gloss laminate to protect them from rubbing and fading. What are WingMate Luggage Tags? 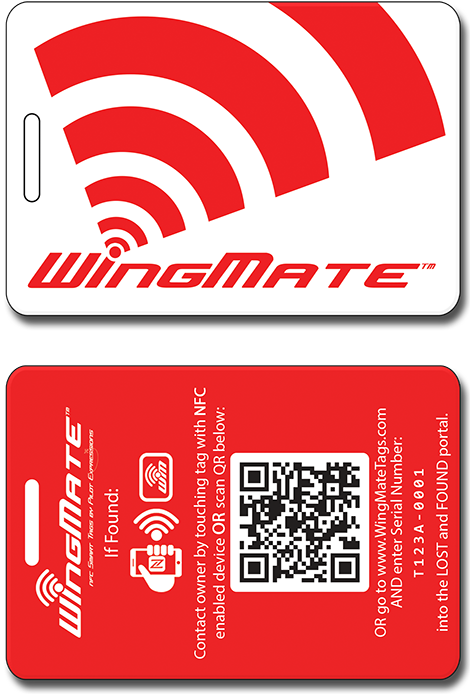 WingMate luggage tags are a “Smart” tag that provides a secure way to store personal contact information on virtually any traveling valuable such as luggage or electronics, and assists with the recovery of valuables when lost. Think of it as a transponder for your luggage or other items. 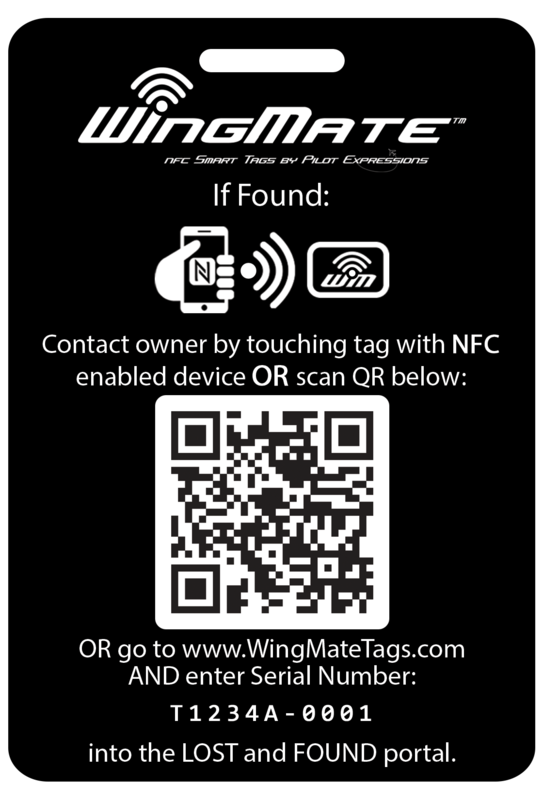 Using NFC or QR Code technology, WingMate Tags are the most advanced luggage tag available. Never write on a luggage tag again and have your information easily exposed to the public. Simply update your contact information with a click of your mouse or use your smartphone! 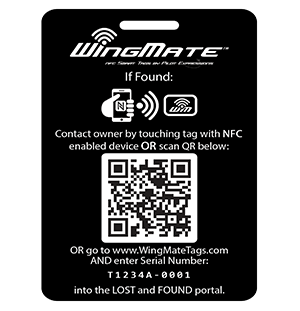 Whenever your tag is lost, WingMate Tags increases the effectiveness of recovering your lost articles. WingMate Tags were developed by two airplane pilots and are flight crew tested to be the best and last luggage tag you’ll ever need! No longer be exposed to thieves and predators while away from home. WingMate Tags protects your personal contact information from easily being visible to the public while traveling and helps prevent from wrongdoers knowing you’re not home. Aids with the recovery of lost or forgotten valuables and sends a pinpoint on a Google Map of the location of your items when found! Embedded NFC chip makes it easy for a finder to report your lost items. Scannable QR Code allows anyone with a smartphone or tablet the ability to report your lost articles. Our luggage tags are 25% thicker than standard tags for extra durability. Moving or just needing to update old information? No problem! WingMate Tags allows you to change information with just a click of your mouse for all of your tags. Never worry about erasing and rewriting on a tag, or wasting money by throwing away a tag and buying a new tag just because you need to make a minor change. With WingMate Tags make all of your changes from the convenience of your phone or home computer without even touching the tag. How Do Wingmate Luggage Tags Work? Each WingMate luggage tag is embedded with an NFC (Near Field Communication) chip that, when read, acts as the “key” to our secure database. 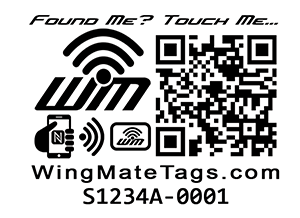 WingMate luggage tags also use QR Code technology that may be used when NFC technology is unavailable. Scanning the NFC chip or the QR code will bring the finder to our Lost and Found Portal. The person who found the luggage tag may contact the owner using the methods provided on the owner’s profile or chat anonymously using our instant messenger system. The information that you enter in your WingMate Tags profile is securely stored in our database and may only be edited by you. Only contact information that you wish to be visible to others may be seen when accessed through our Lost and Found Portal. You are sent an automatic email with the details of the find with a map of its location. A finder’s contact information may also be provided at this time, or both parties may communicate anonymously via chat until the appropriate time to exchange information. Available as a luggage tag and/or stickers, WingMate is one of the most versatile information protection and asset recovery platforms available! 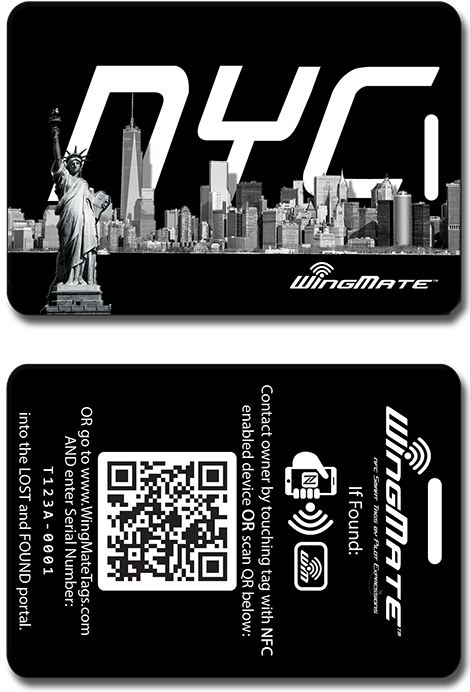 Use them on your luggage, smartphones, tablets, laptops, or anything else that you want the protection of WingMate. 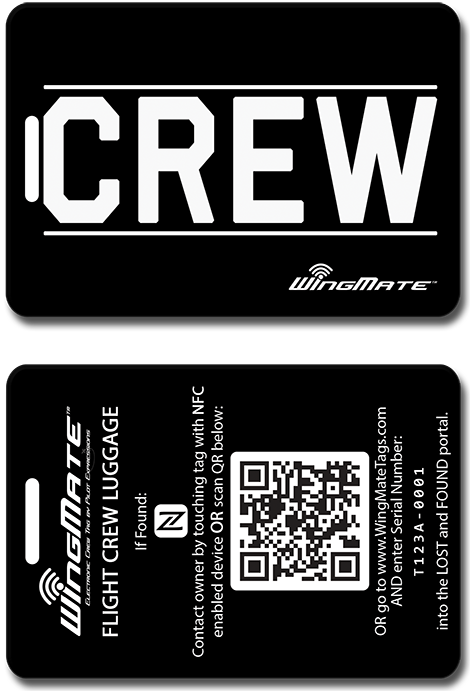 Wingmate Luggage Tags have no subscription fees! You never have to pay for a WingMate Tags account, period. 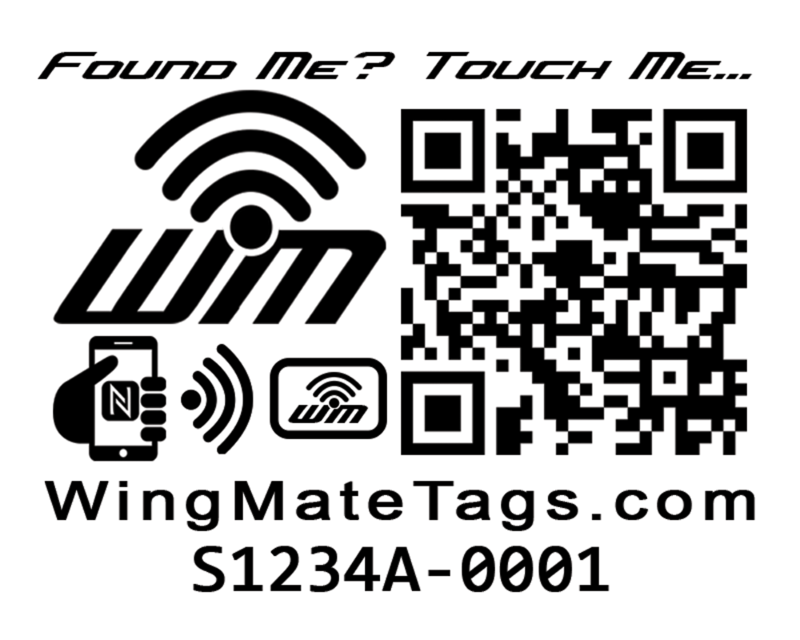 Unlike other similar products out there that “charge-per-find” or collect on “record updates”, WingMate Tags accounts are complementary. 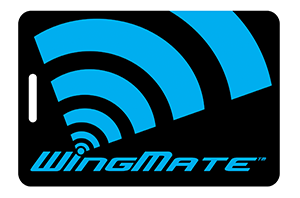 Update your profile as much as you want, or lose your items as much as you want (although we don’t recommend the second part), WingMate Tags offers unlimited database entries at no cost to you. Please use the form and we will respond to you by email. Emails are answered daily, during and after normal business hours including weekends.